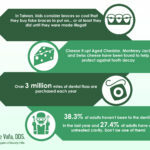 Beverly Hills Orthodontics | Smile Angels of Beverly Hills - Bruce Vafa DDS. A crooked smile can be charming in its own way, but it can cause problems with your dental and overall health. When your top and bottom teeth do not fit together properly, your teeth are said to be maloccluded. This can include crossbites, overbites and underbites. Maloccluded teeth can be more prone to damage and TMJ disorders, or disorders of the jaw joint. Misaligned teeth or teeth that are crooked, improperly spaced or otherwise improperly aligned can also create issues. Your teeth may be difficult to keep clean and more prone to plaque and tartar buildup, which can lead to decay and gum disease. 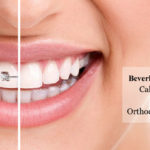 If you have misaligned teeth or a maloccluded bite, our Beverly Hills orthodontics expert can help. We offer several orthodontic treatment options. Our expert in orthodontics in Beverly Hills, in the heart of Los Angeles, will work closely with you to determine the best treatment option. Invisalign or ClearCorrect can be a great choice for many teens and adults with minor to moderate orthodontic problems. Patients with more serious orthodontic issues may be candidates for traditional, Damon or colored braces. Early treatment is available for children, which can help prevent or minimize future orthodontic problems. If you are a candidate for orthodontics, our Beverly Hills orthodontist will begin with a comprehensive evaluation. We will examine your teeth, bite and gums. Dental X-rays, images, impressions and other records may be taken. After determining the best course of treatment, we will explain all your options. Alternative treatment options are often available, and we can help you make the best decision for you or your child. The treatment process can take from six months to several years depending on the type and severity of the problem and your treatment method. Throughout your treatment, we encourage you to follow all recommendations, which can keep your smile healthy and ensure the most attractive results. Good dental hygiene is critical, and you may need to use special flossing tools, or floss threaders, if you have traditional braces, to ensure that you are able to remove all debris and buildup between the teeth. Contact our office today to find out more or to schedule an appointment with our orthodontist in Beverly Hills, in the heart of Los Angeles. Orthodontic bands: are used in orthodontics to secure an archwire to the molars or anchor an appliance to the teeth. Retainer: a gadget given to orthodontic patients after their braces have been removed. The retainer attaches to the upper teeth and holds them in position. Separator or spacer: a device inserted between teeth which are to be fitted with orthodontic bands; usually made of small metal springs or elastic material. Sheath: a fixed attachment that’s soldered or welded to a band. It’s specifically designed to remove auxiliaries such as lingual arches. Band: a metal ring that’s usually placed on one’s teeth to hold on parts of the braces. Ligating module: a small, donut-shaped piece of plastic, which is used to hold archwires in the brackets of one’s teeth. Mouthguard: a device used to protect your mouth from injury during sports. Mouthguards are especially important for orthodontic patients to reduce the risk of injury. Bonding: the process of using special safe glue to attach brackets to your teeth. Impressions: the first step in making a model of your teeth. The process involves biting into an algenate-filled container. The algenate hardens to produce a mold of your teeth.